A blog for every banker! 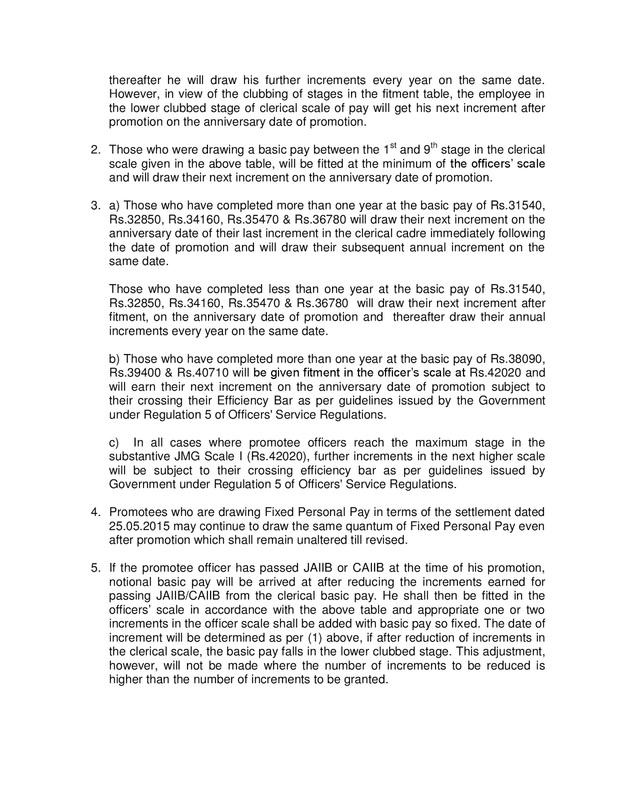 Now in majority of PSU Banks promotion process is complete, and fitment and pay fixation for the promotes is under process. 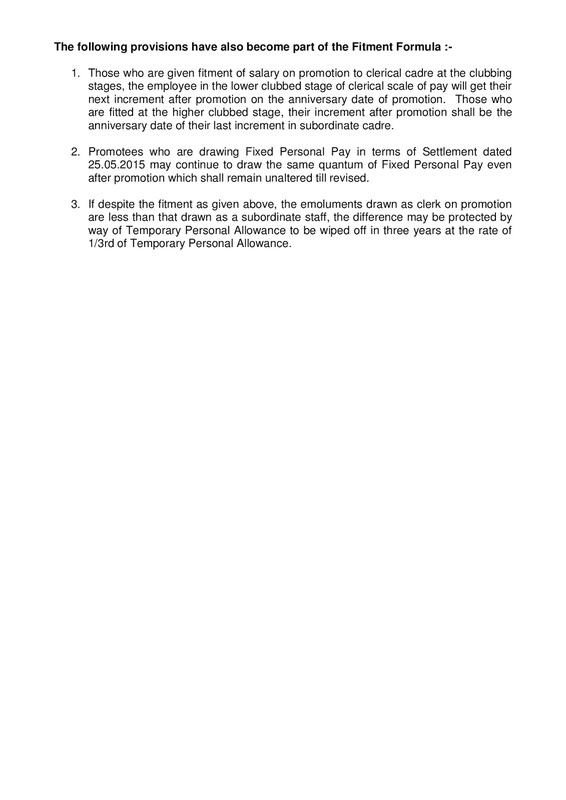 We have received many calls with regard to Fitment charts, as per the 10th Bipartite settlement. Keeping in view we have prepared the fitment chart for all scales according to 10thBipartite Settlement. We have prepared the charts with utmost care. 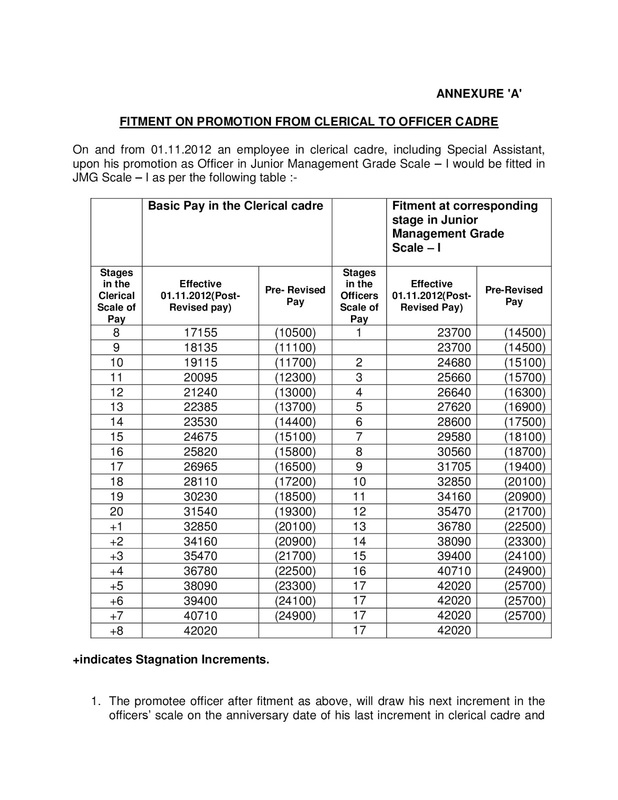 For those employees who placed in the lower clubbed stage of new scale the date of increment will be shifted to the date of promotion. 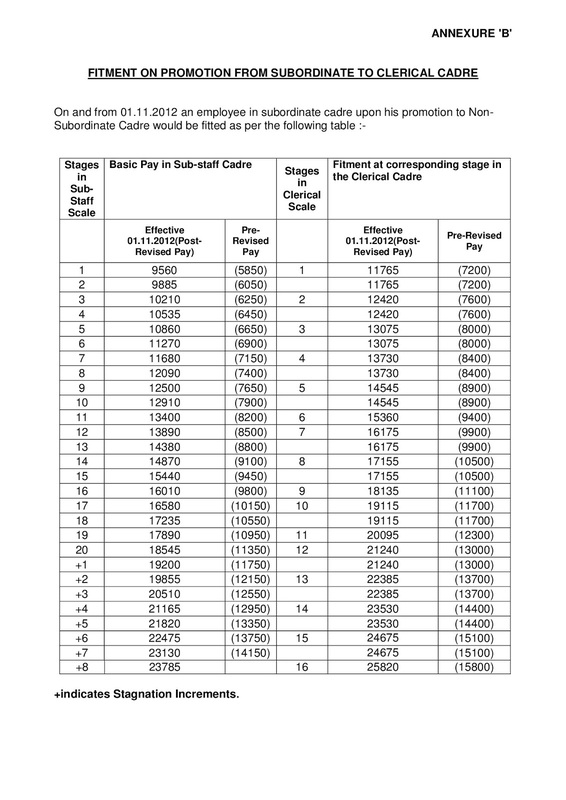 JAIIB/CAIIB increments if any will be deducted from the existing scale and accordingly new scale as per the fitment chart will be fixed. After fixing the new scale JAIIB/CAIIB increments will be added to the new scale.